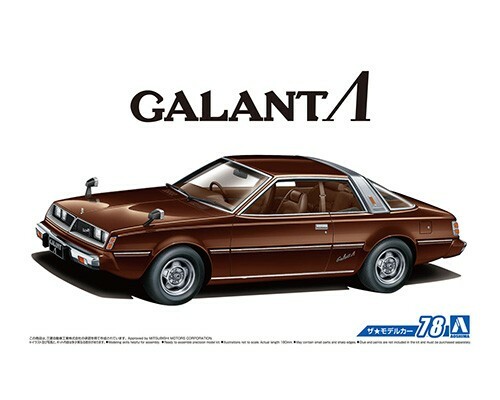 The first generation Galant Lambda was released in November 1976 as a successor of Galant GTO and hard-top Galant. While round headlight and curved body design was the mainstream in Japan, the straight angled design of Lambda resembled European car design. Its distinct style soon made Lambda a popular car. 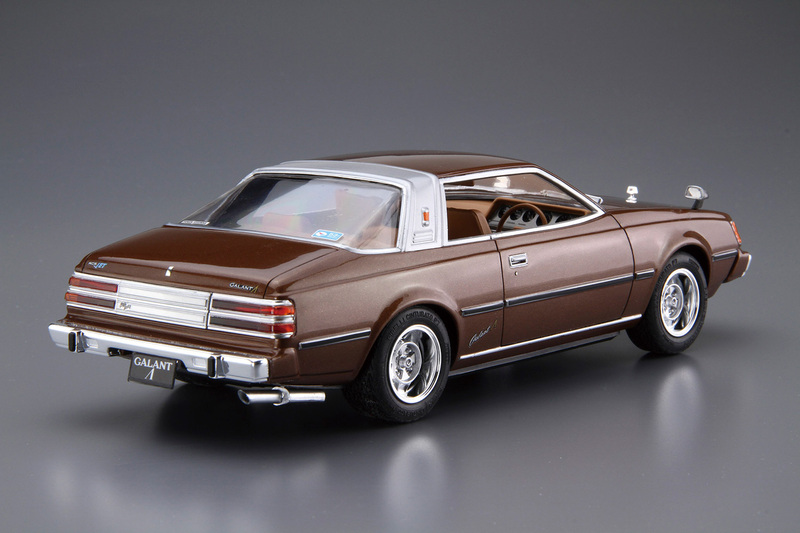 This kit replicates the Galant Lambda in its catalog specifications. The molds for this kit were designed and developed in the 1970s and may not be at the quality of replication in today's standards. 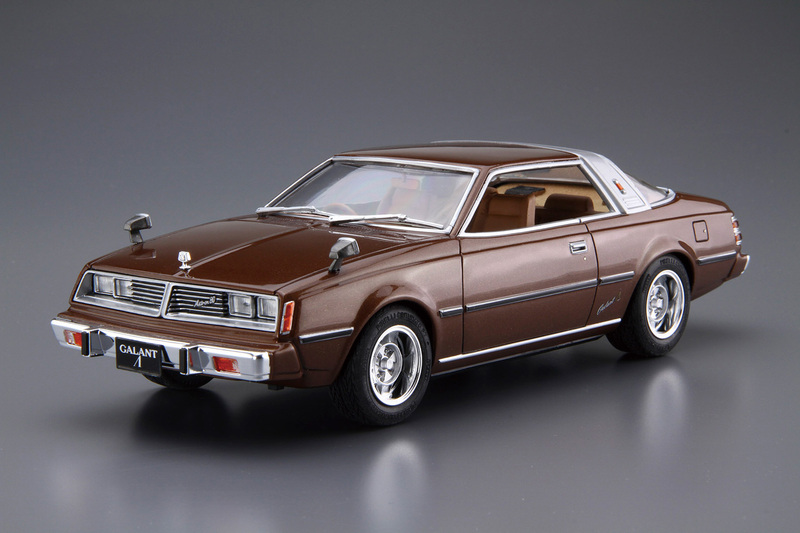 However, with chrome-finished bumpers and wheels, you will be able to build a realistic Galant Lambda.